In a crowded store setting there may be only seconds to catch a customer's glance. 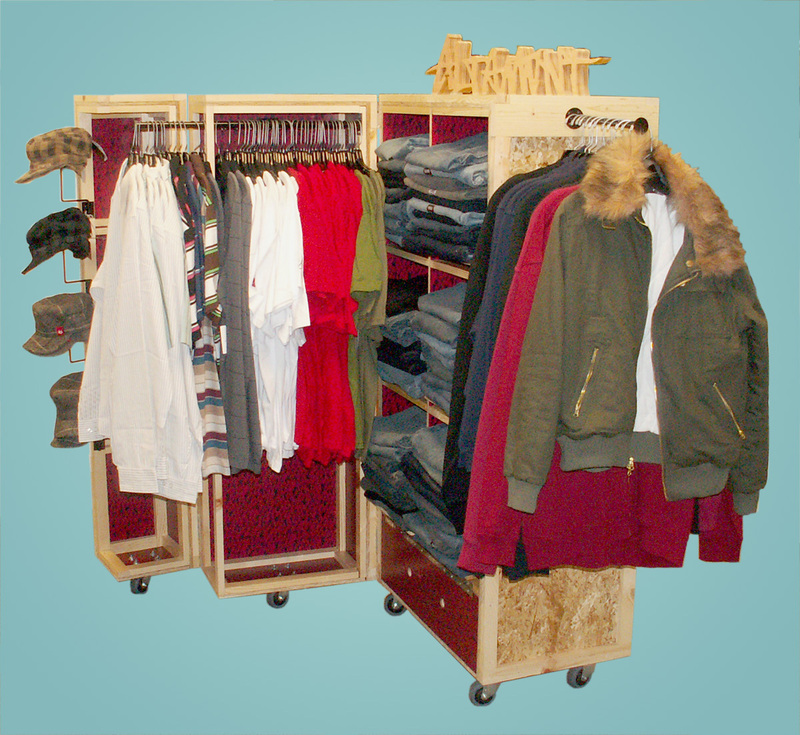 The best case scenario, a clothing display allows a full visual of one item for each style on the display. 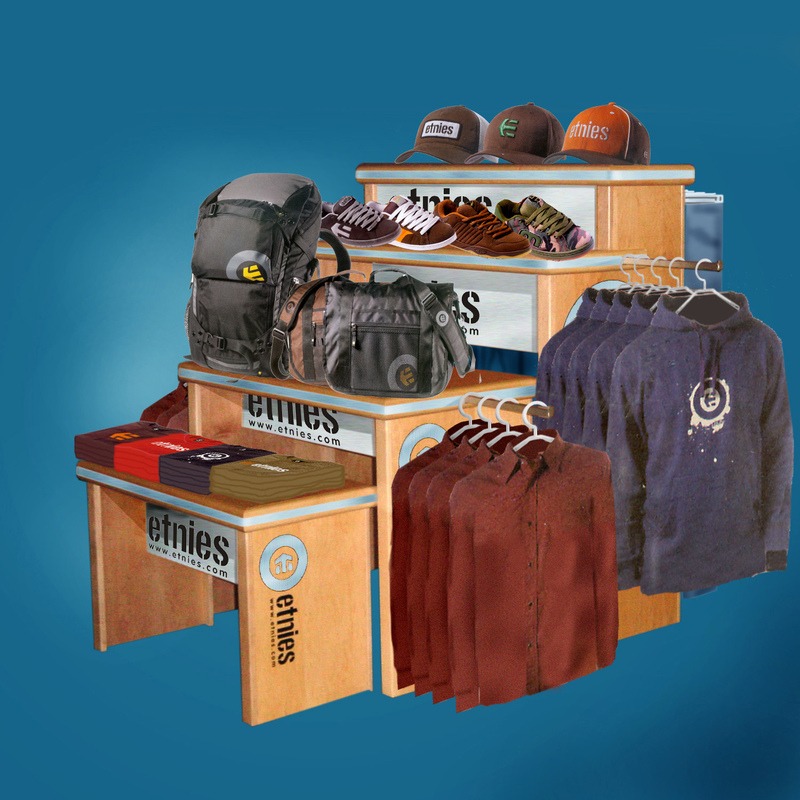 Clothing displays are as much about merchandising as display products should be accessible and easy to shop. 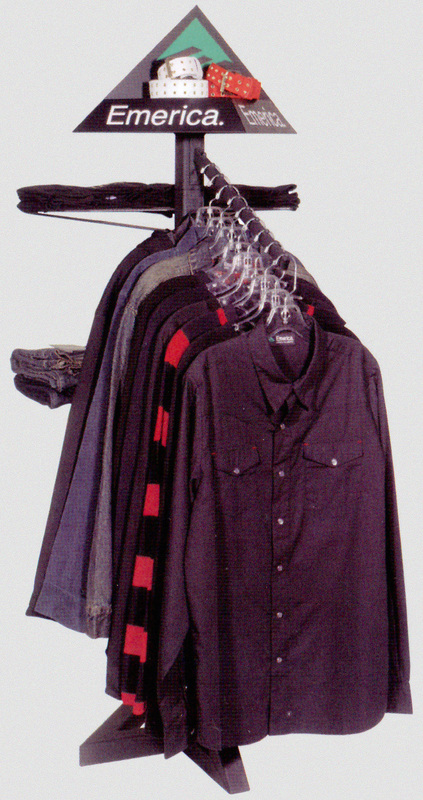 TIP- Consider the shopper's height when designing clothing displays. Try not to put folded clothing lower than 20 inches off the floor.